A new “Birth of the Brotherhood” trailer has been released for the upcoming Assassin’s Creed Origins game that will be launching later this month on October 27th, 2017 and will be available to play on PC, PlayStation 4 and Xbox One. 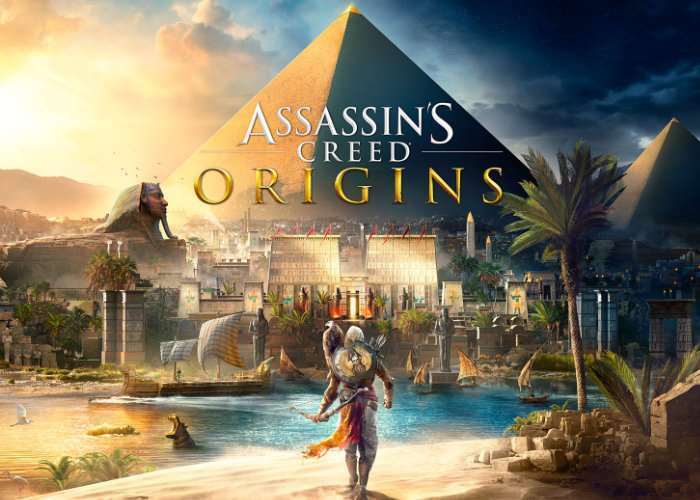 The latest title in the ongoing Assassin’s Creed series is set in Ancient Egypt during the Ptolemaic period and recounts the secret fictional history of real-world events. Bayek, the last Medjay and protector of Egypt, embarks on a journey to protect his people by fighting from the shadows. Watch the Assassin’s Creed Origins Birth of the Brotherhood trailer now. The story explores the origins of the centuries-long conflict between the Brotherhood of Assassins, who fight for peace by promoting liberty, and a secret cabal—forerunners to the Templar Order—who desire peace through the forceful imposition of order. Assassin’s Creed Origins is an action-adventure stealth game played from a third-person perspective. Players complete quests—linear scenarios with set objectives—to progress through the story, earn experience points and acquire new skills. Outside of quests players can freely roam the open world environment on foot, horseback, camel-back or boat to explore locations, complete optional side-quests and unlock weapons and equipment. The game will also feature revised combat mechanics. Previous titles in the Assassin’s Creed series used a “paired animation system” whereby the player character would engage with an enemy and combat would be dictated by a series of predeterminted animations based on player inputs and scripted AI movements. Assassin’s Creed Origins will move to a “hit-box system”. When the player wields a weapon, they will strike at whatever is in range, allowing them to hit enemies directly, injure individual body parts, and creating the possibility of missing an enemy entirely. Complementing this is the way weapons fall into different categories and are rated on their damage dealt, speed and range.